Steam apple juice using electric/battery powered frother. Pour steamed apple juice into a tall heat-resistant glass/mug and then add brown sugar cinnamon syrup. 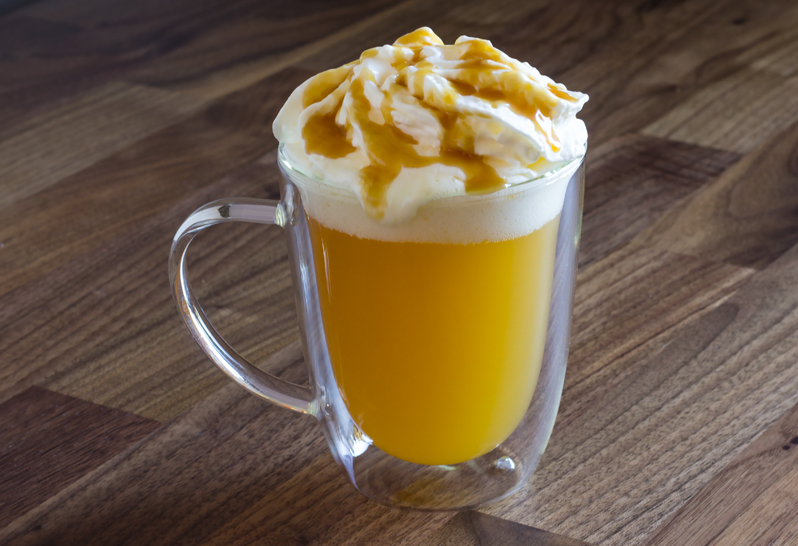 Top with whipped cream and Torani Caramel Sauce.